A sudden gust of wind blows a rubber ring out to sea. Oh no! Solo the seal is in trouble. Stuck in the ring! 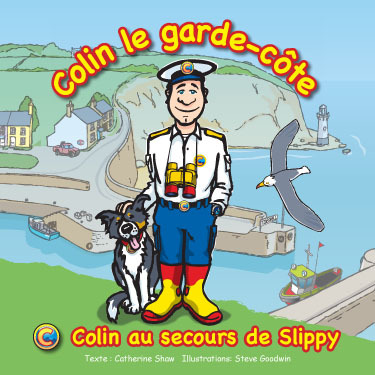 The iBook version includes audio and animation. A lazy summer afternoon, a sudden gust of wind, a rubber ring is blown out to sea. Oh no! 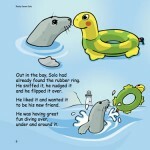 Solo the seal is in trouble. 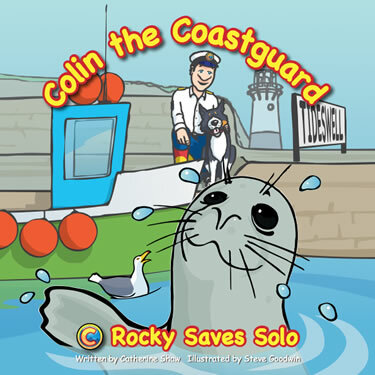 Stuck in the ring and caught on the rocks beneath the cliffs, Solo needs rescuing. 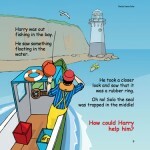 Harry the Fisherman tries his best but it’s clearly a job for Colin. 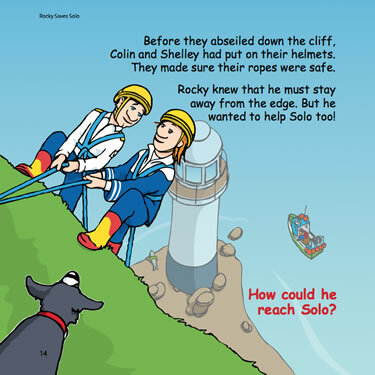 Colin calls in the expertise of Shelley and the cliff rescue team, but Rocky has his own ideas and surprises everyone&hellep;including Solo! Tension, humour and dangers successfully overcome, before our resourceful heroes return to Tideswell Harbour with their mission accomplished! 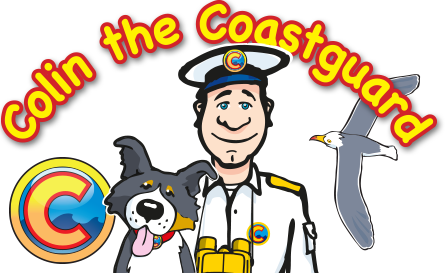 Another exciting adventure for Colin the Coastguard and his dog Rocky. The book ends with a fun Search Mission. 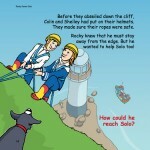 Special versions of our adventure stories are available for iBooks, with sounds and animations. 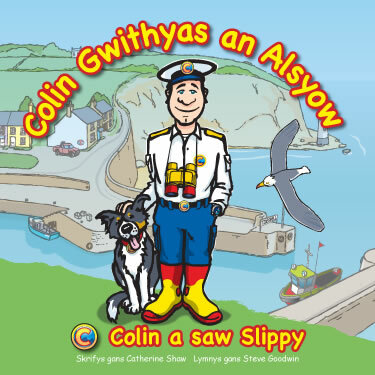 Copyright © 2018 Kittiwake Productions Ltd. All rights reserved. The cookie settings on this website are set to "allow cookies" to give you the best browsing experience possible. If you continue to use this website without changing your cookie settings or you click "Accept" below then you are consenting to this. Some cookies on this site are essential, and the site won't work as expected without them. These cookies are set when you submit a form, login or interact with the site by doing something that goes beyond clicking on simple links. We also use some non-essential cookies to anonymously track visitors or enhance your experience of the site.